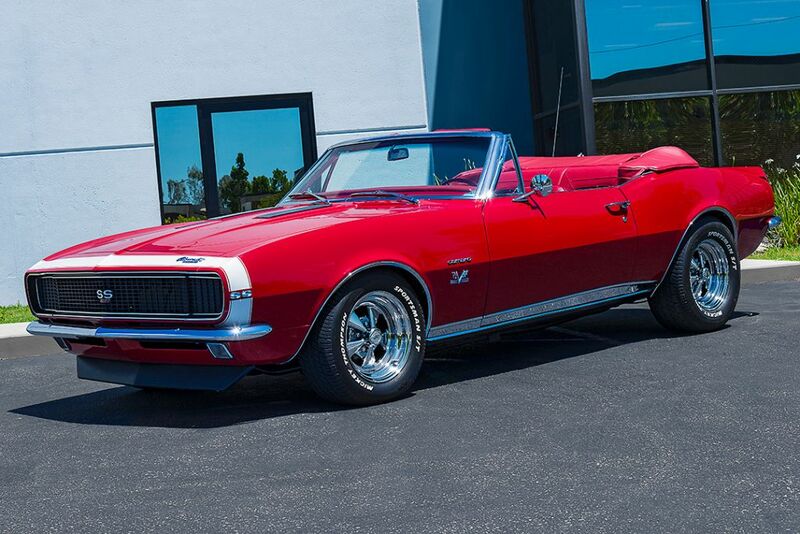 This '67 convertible looks sharp with its vibrant red paint, chrome Cragar wheels, and white nose stripe. When you've got a classic car you truly care about, keeping it clean is a never-ending labor of love. It gets dusted, washed, waxed, buffed, and polished, until you're painfully aware of every last imperfection. Some of us spend hours meticulously polishing the chrome, or detailing the interior, until our significant others complain that we don't even give them this much attention. Tim Bair, of Huntington Beach, California, is obsessed with keeping his '67 Camaro sparkling clean, and for good reason. After all, he bought the car with earnings from his metal polishing and plating company, California Polishing. One look at the car tells you that Tim is good at what he does—it is simply immaculate. With art-deco-era bodywork and a modern lowered stance, this classic Chevy is the perfect fusion of old and new. Like most good things in life, finding a clean base for a restoration project is often a long and arduous task. You can't just expect someone to show up at your doorstep and hand you the keys to your dream car, you've got to get out there and search for it (or pay someone else big bucks to do the leg work for you). 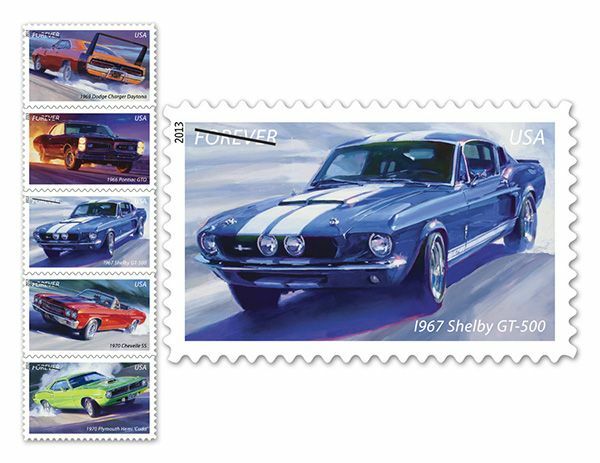 Mike Guido, of Costa Mesa, California, knew exactly what he was looking for, and had the patience to endure years of fruitless searching. 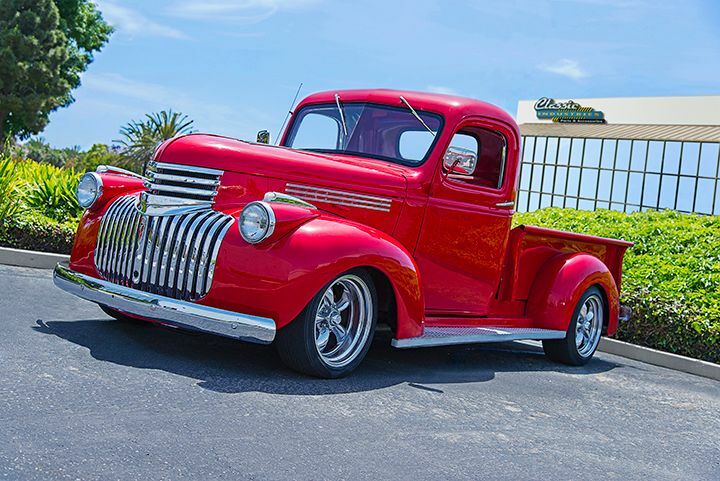 In fact, he looked for the right classic pickup to restore for over two decades. That level of dedication demands respect. Thankfully for Mike, the search paid off, and he came upon the 1946 Chevy truck seen here. 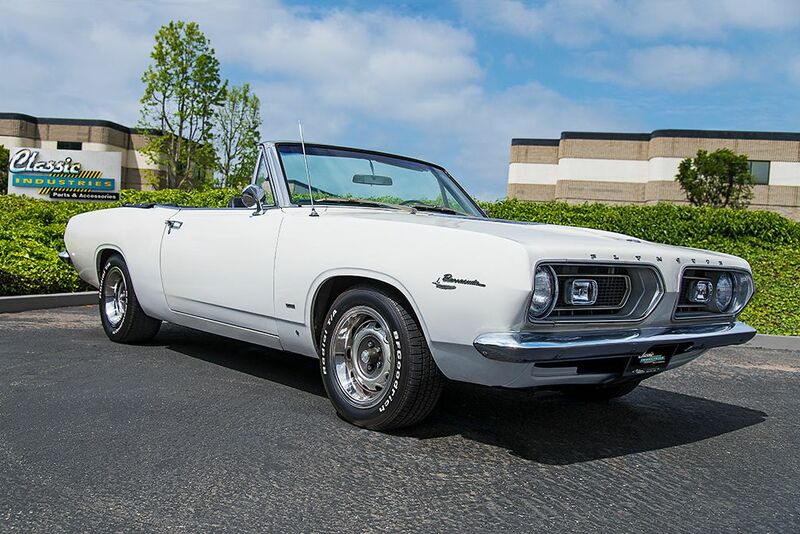 Jeremy's '67 Barracuda makes for an ideal daily driver, especially when the sun's out and the top's down. If, like us, you call yourself an automotive enthusiast, chances are good that you share an appreciation for a wide range of makes and models. However, there's always one car that trumps them all, and makes your heart skip a beat the moment you lay eyes on it: your dream car. For Jeremy Fleener, of Encino, California, that car is the 1967 Plymouth Barracuda convertible seen here. Jeremy recently stopped by our Huntington Beach showroom, and we took the opportunity to get to know him, snap a few photos, and learn more about the car. 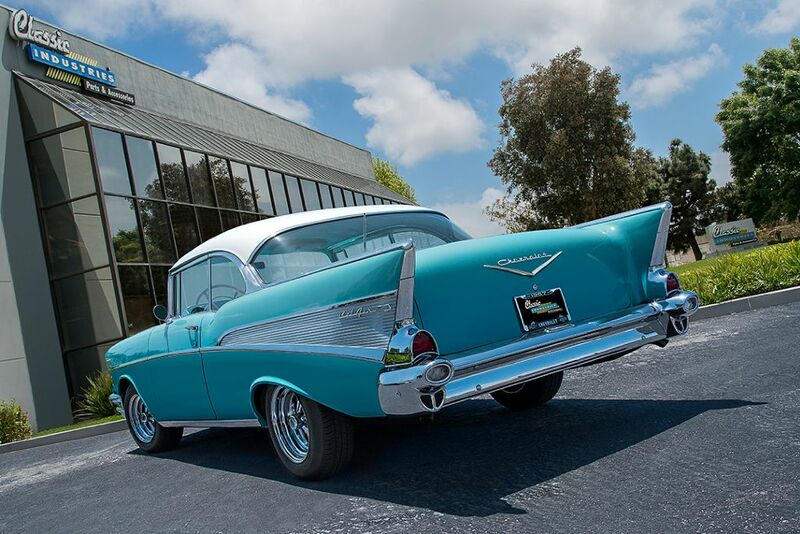 Classic Industries' Southern California customer, Jerry Jacobs, pulled into the parking lot with his glamorous '57 Chevy Bel Air. 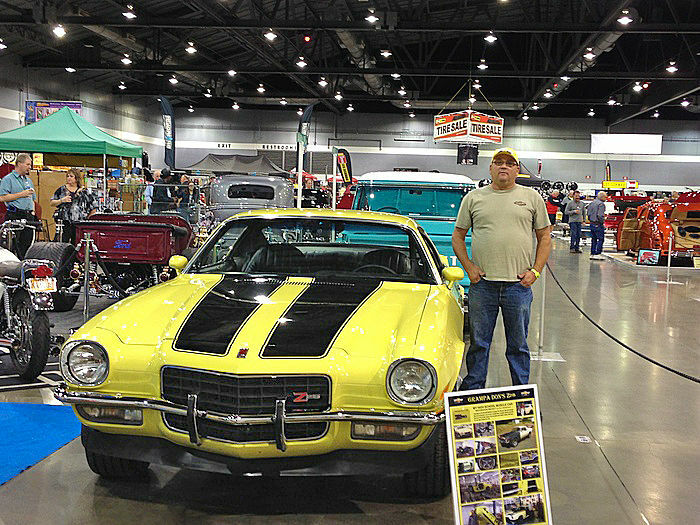 This 2-door hardtop sport coupe is a daily driver for Jerry, but looks like it should be pampered at a local car show. He's the second owner for the last 25 years and this Larkspur Blue/Imperial Ivory combination quickly transports us back in time.